Do you have difficulty seeing small fonts in books or on the computer? Do you find it helpful to have text read aloud? Do you find typing challenging due to pain or other considerations? 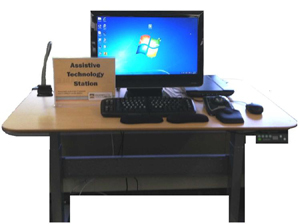 Assistive technology may be able to help. Services are available at the Old Town and Harmony libraries. ZoomText is a software program designed to assist people with low vision or people who have certain sensitivities when viewing the computer screen. It magnifies, enhances, and reads aloud what is being displayed on the screen. It can be used for reading computer documents, email and exploring the Internet. ZoomText Camera uses a high definition web camera to view and magnify printed and 3D objects and then displays them on the computer screen for easier viewing. Read & Write Gold is a literacy program that assists with reading and writing. Helpful features include reading text aloud, assisting in sentence construction, word prediction, spell check and more. It is geared for people with learning disabilities like dyslexia; for people with difficulties around literacy, or just people who learn best through seeing and hearing words. Optical Character Recognition (OCR) is also available when you use the scanner and Read & Write Gold. It takes hard copies (books, magazines, newspapers) and converts them into a digital format that recognizes the text. You can then interact with the text electronically (search, copy, paste, highlight). NVDA (Non-visual Desktop Access) is a program designed by students who are blind themselves with the goal of providing free, screen reading software. It can be used with Microsoft Office, email, and the Internet. 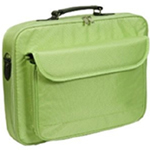 The assistive technology laptop has been tucked into a convenient bag for you to carry into a quiet study room. Loaded onto the laptop is a voice recognition software, Dragon Naturally Speaking (DNS). Users can dictate into word processors, spreadsheets, email, the web, etc. and can also navigate the computer using verbal commands. This program may be helpful if you experience pain or difficulty with typing or have mobility impairments like arthritis or MS. Some people with learning disabilities may also find DNS useful. Community Rooms 1 & 2 at the Old Town Library are equipped with a Hearing Loop. People with a hearing impairment may check out a receiver with headphones or use the T-coil mode on their hearing aid or cochlear implant to enjoy the program through the room's sound system without distracting background noise and reverberation.